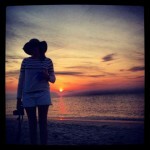 Maine’s got no shortage of beautiful things to see. Impressive waterfalls? Check! Quiet winding roads? Got those, too! But, what some people don’t realize is that we also have a quirky side. This is a state full of people that understand the meaning of weird, wacky, and wonderful. 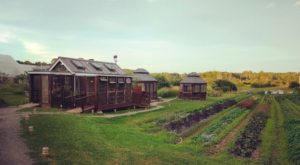 The best way to see that side of the state is to check out some of the most unique places to go in Maine. 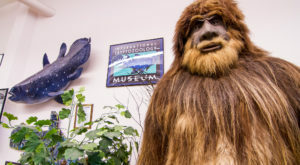 Whether it’s museums or roadside attractions, these places will remind you that it’s okay to take a break from taking things too seriously. 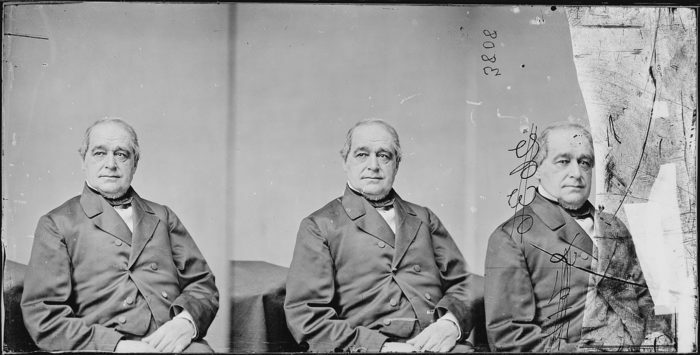 Found in the Bangor Public Library, the couch on which Abraham Lincoln's Vice President took his last breath is set up for your viewing pleasure. Apparently, he became ill during a game of cards, sat on the couch and that was it. And today, it inexplicably sits in the library. Visit it at 145 Harlow St., Bangor / (207) 947-8336. 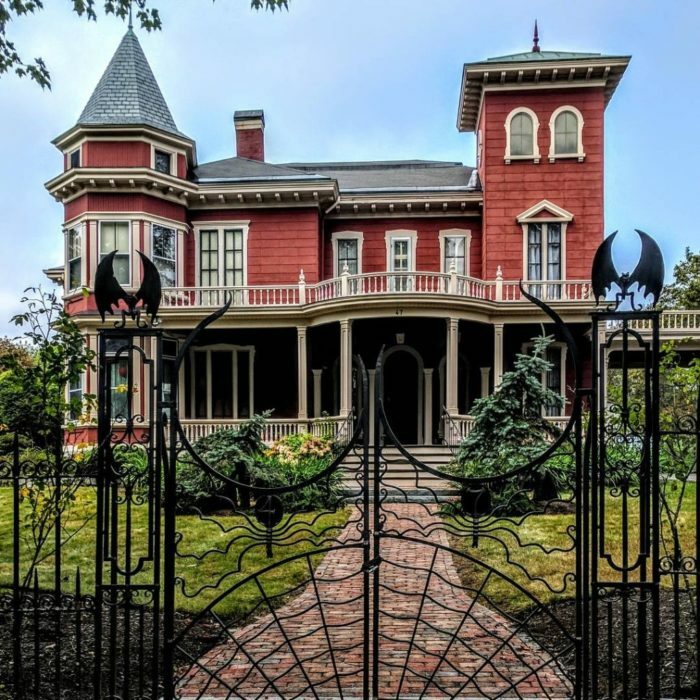 With its spider web fences adorned with bats, there's no mistaking which Mainer lives in this eerie looking house. Spend some time outside on the sidewalk imagining the brain that works inside. Just don't be too bothersome — you never know what might happen! 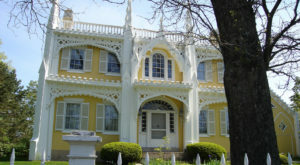 Visit it (without making a scene) in the Whitney Park Historic District of Bangor. The grave of Mary Nasson can be found in The Old Burying Yard of York. While there isn't a ton of evidence proving that Mary was a "witch," there's a ton of speculation. 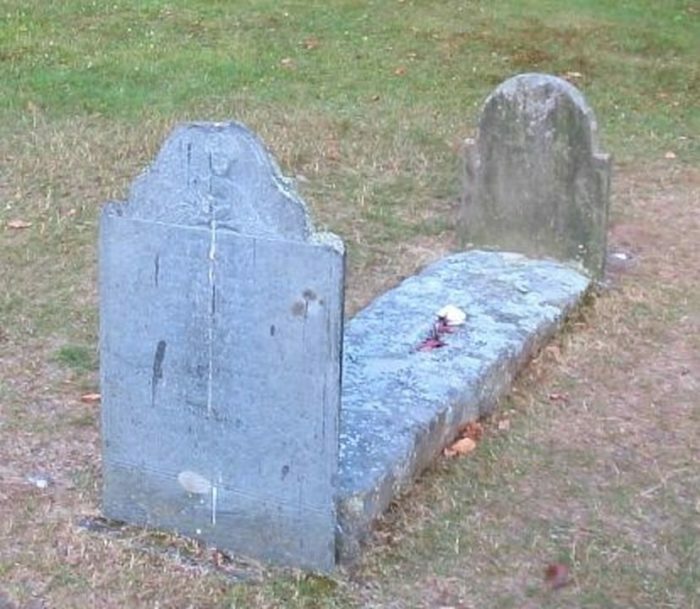 There's a concrete slab on the grave, which many people believe is meant to keep her soul inside. The gravestone itself features a carving of Mary who some say looks like a witch. Go see it for yourself at the Old York Cemetery in York Village. 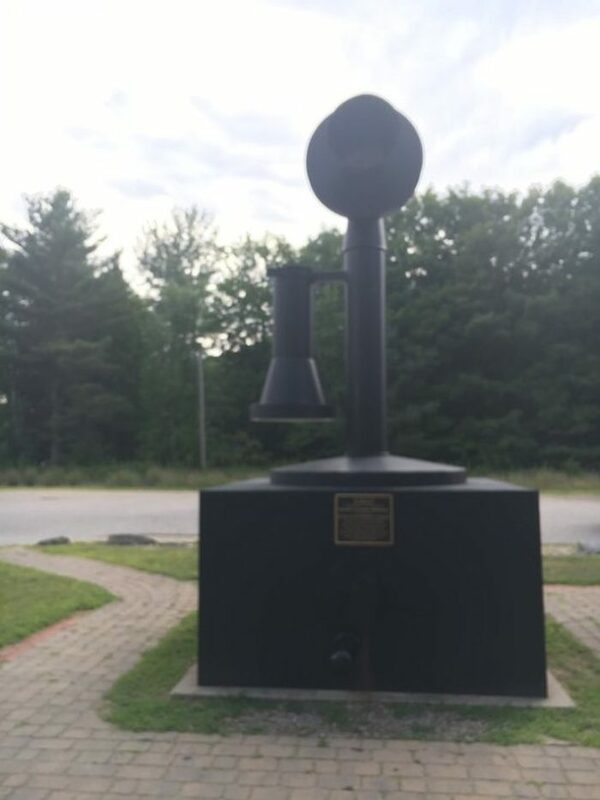 Of course, the largest telephone sits randomly in Maine! Why wouldn't it be? 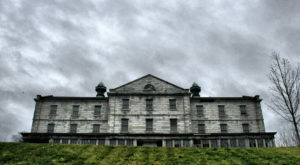 Maine was the place where the last phone call made from a crank phone in the US was ever made. Today, a statue stands in town to commemorate this sad, but exciting moment in history. 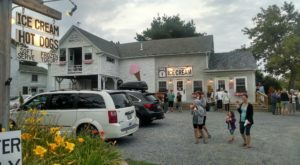 Visit it at 1 N. Main St., Bryant Pond. Hilariously, it has no phone number. For some reason, the idea of an entire museum dedicated to the umbrella cover feels very, very Maine. And, it proves that you won't find another bunch of people as unique as Mainers. Created as an homage to the often overlooked sheath, this small spot near the ferry terminal on Peaks Island encourages questions and curiosity. Visit them at 62 Island Ave., Peaks Island / (207) 939-0301. 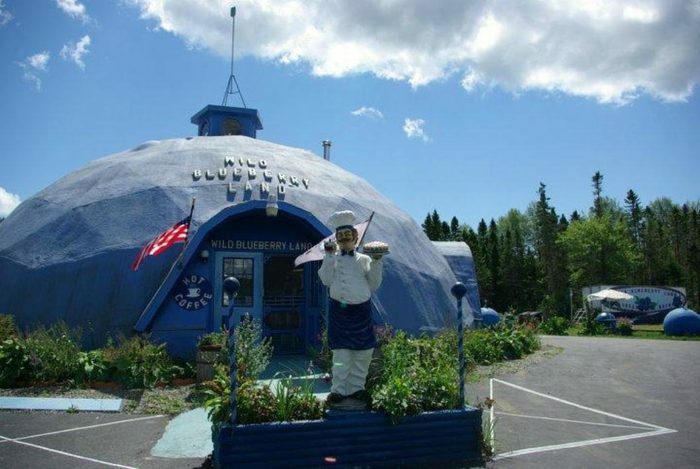 One part roadside attraction, one part gift shop, and one part bakery, this celebration of all things blueberry is as Maine as it gets. Stop by for pies, cakes, candy, and photo ops! Visit them at 1067 US Highway 1, Columbia Falls / (207) 483-2583. 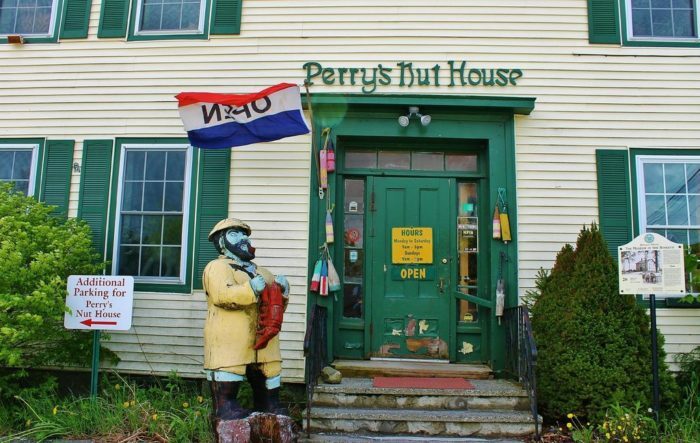 Perry's Nut House is perhaps best known for having once had an impressive collection of taxidermy animals and outdoor painted animal sculptures. But, in 1997 many of these things were sold at auction. 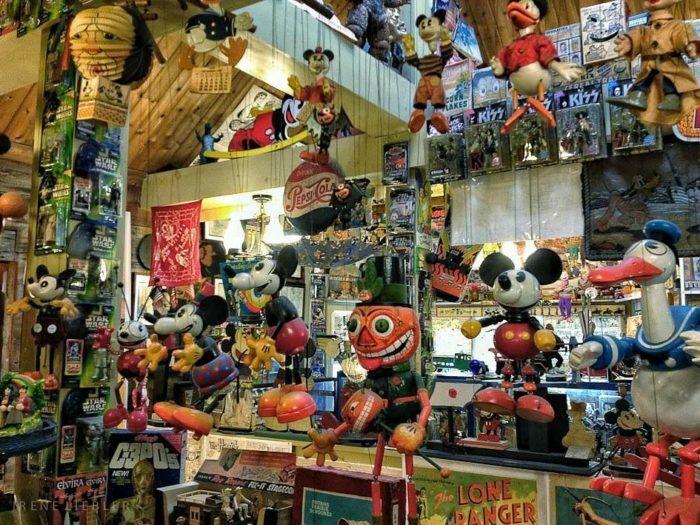 It wasn't until 2009 when the new owners began searching for and buying back the previously sold relics that this place began to come back to life. 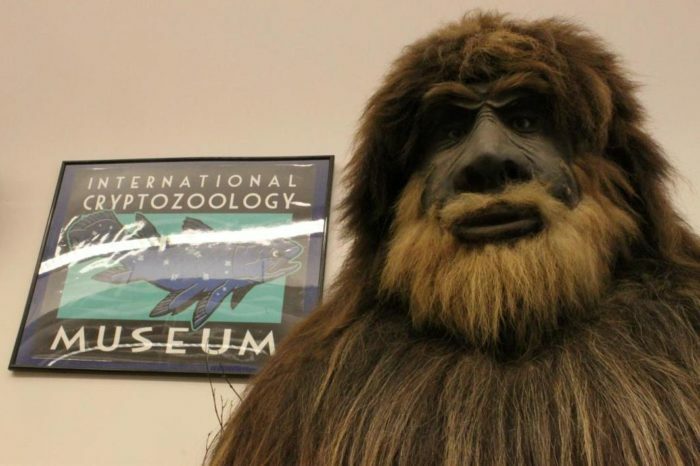 Longtime fans will be happy to hear that Ape-Raham the gorilla is one of the recovered relics. 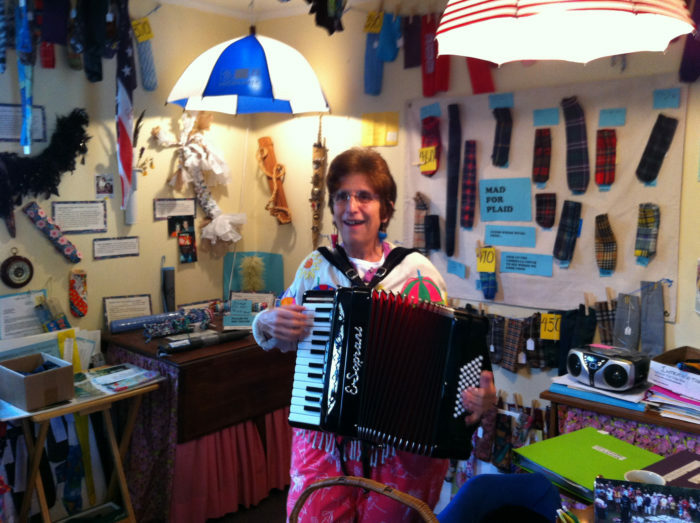 Visit them at 45 Searsport Ave., Belfast / (207) 338-1630. 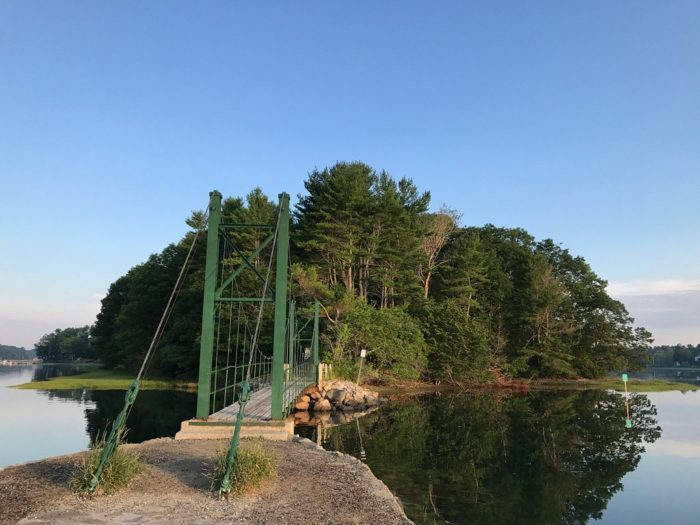 The Wiggly Bridge might just be our favorite little attraction in southern Maine! This mini-suspension bridge offers tons of fun for not just little Mainers, but grown-ups too. Take the walk around Steedman Woods and spend some time jumping on the little bridge. It wiggles and wobbles, making for a fun little stop. The Tuttle family farm fell prey to overfarming, leaving it full of silt and sand. Today, it's a tourist attraction featuring buried homes, unexplained camel figurines, and a gift shop. It's an oddity if only for the fact that people continue to visit each year. We're not complaining. 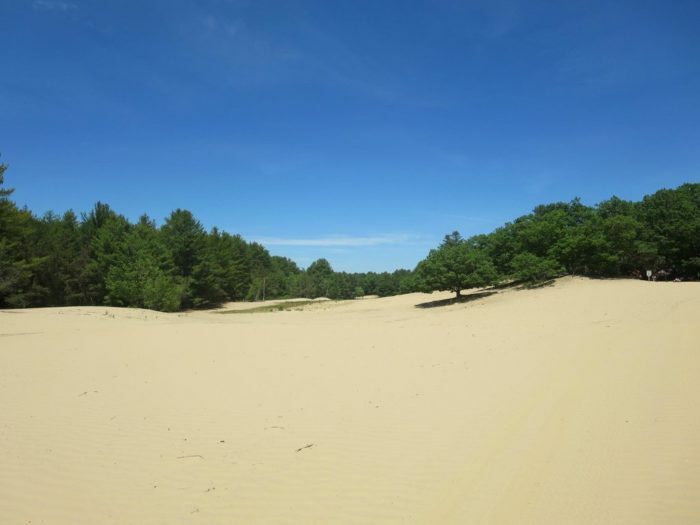 What other New England state can say they have a desert? Visit it at 95 Desert Rd., Freeport / (207) 865-6962. 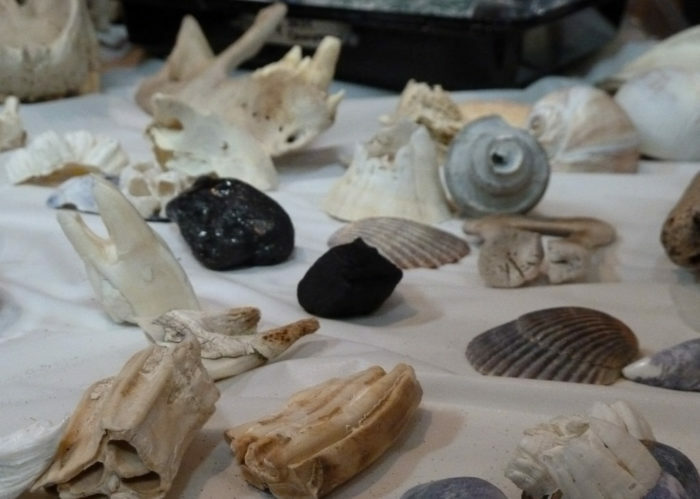 In Boothbay, you'll find the only Maine museum dedicated entirely to seashells. Founded by Kenneth E. Stoddard as a place to share the shells he found while traveling through the South Pacific. 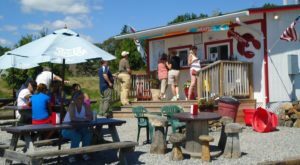 Visit the shells at 510 Wiscasset Rd., Boothbay / (207) 633-4828. Founded in 1875, this museum has worked to keep the history of the sardine industry alive in Maine. 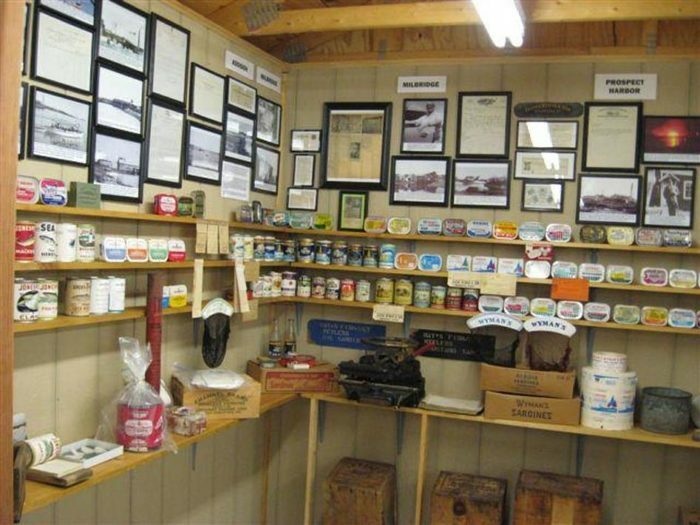 You'll find lots of interesting artifacts here, including a wall of scissors used by sardine packers and vintage packaging used to sell sardines. 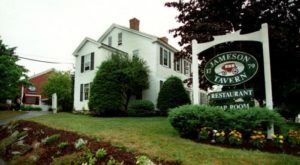 Visit them at 34 Mason Bay Rd., Jonesport / (207) 497-2961. 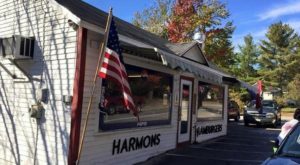 While you’re on the hunt for Maine oddities, have you tried the biggest lobster roll in the state? The Crustacean Elation is the thing of seafood dreams and you can only get it here!